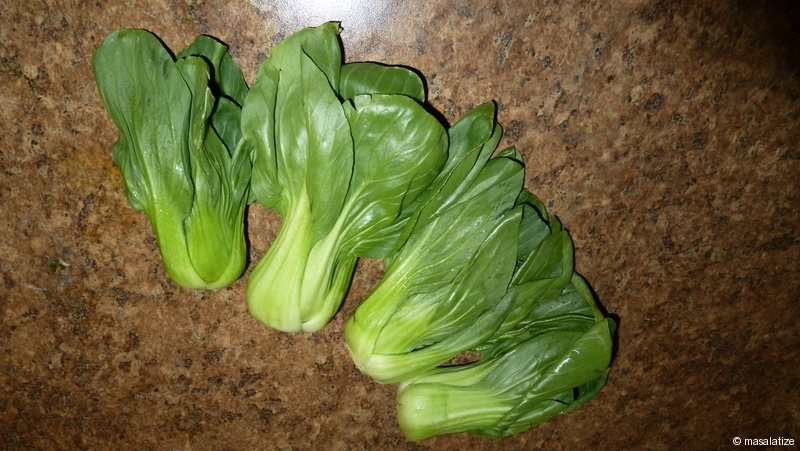 Baby Bokchoy is also known as Chinese Cabbage. Baby Bokchoy and Red Potatoes makes the great combination. 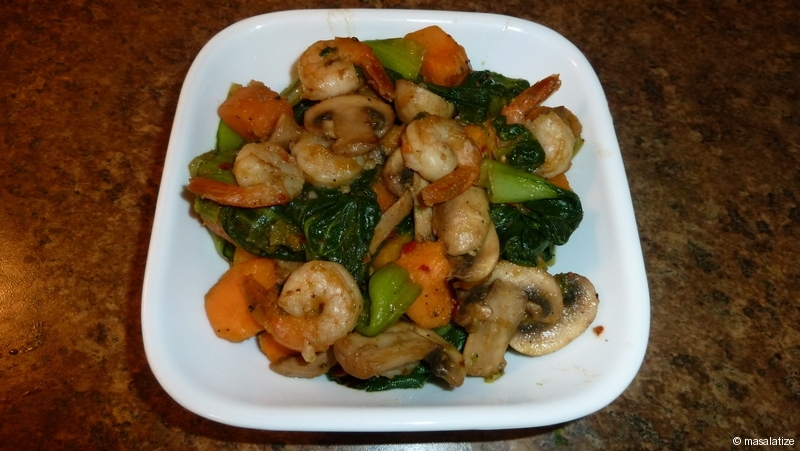 300 gm Shrimp ( Optional) If you are a vegetarian then you can cook without shrimp. 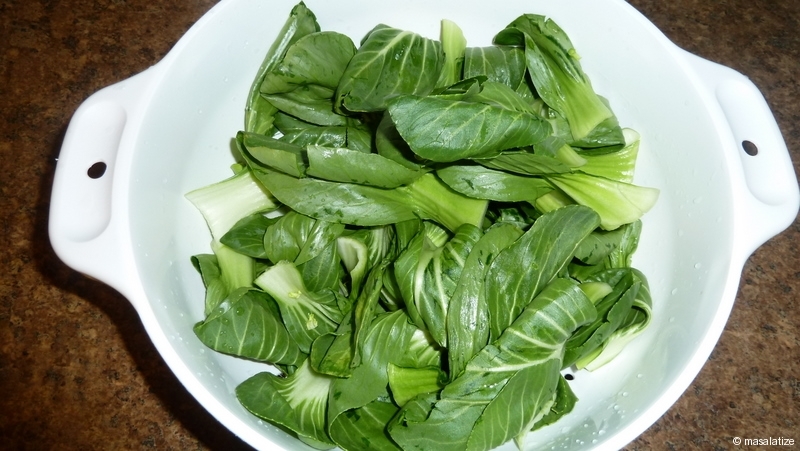 Take good pieces of Baby Bokchoy. 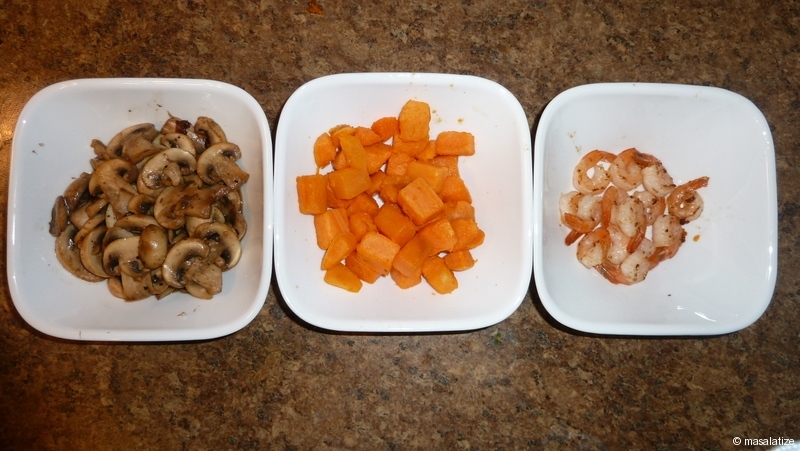 Cut Mushroom into length wise and Red Potatoes into small pieces. 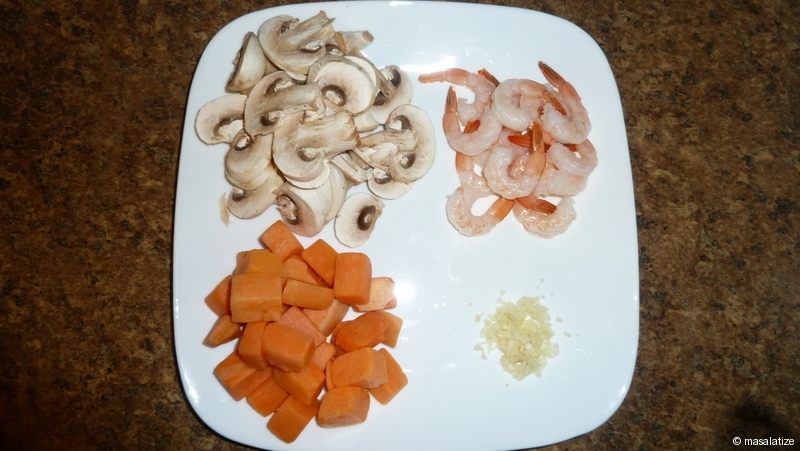 Fry mushroom, red potatoes and shrimp separately. 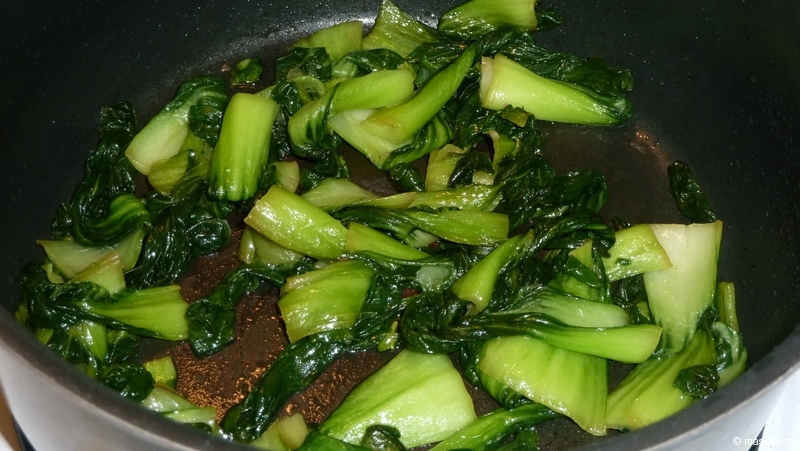 Put rest of the oil in kadai then fry bokchoy with all the spices. Add all the above fried ones. If necessary add little water. Preparation is ready to serve with rice.